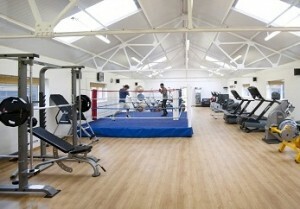 The South Moreton Boxing Club is a Whitecollar Boxing Club and Fitness Centre offering high quality training and facilities to its members. In conjunction with our sister club, the South Moreton Fitness Club, we offer a wide range of Classes, Instructors and equipment to provide interesting, varied and challenging training options for all ages and abilities. Whitecollar boxing offers a safe and dynamic environment where you can learn a skill and, most importantly, get serious results from your training in terms of fitness, toning and conditioning. The idea of Whitecollar boxing is to train you using all the techniques and skills taught to professional fighters. As boxing is the most demanding of sports, this means the skills of bagwork, padwork, skipping, speedball and optional sparring etc. give you balance, co-ordination, symmetry and focus, as well as great toning and fitness results. Mixed Martial Arts is an exploding sport which has developed hugely in the last few years. Essentially incorporating elements of Boxing, Kickboxing, Judo and wrestling, as well as elements of many other martial arts, it is a challenging and exiting way to train. As a new sport MMA has also embraced many new training techniques and innovations helping to make it a fast-changing and dynamic training system. We pride ourselves on being a friendly and inclusive club, able to offer high quality coaching to all fitness levels and abilities. 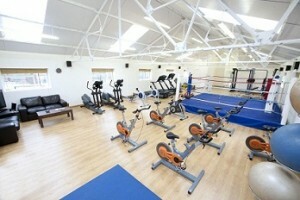 Whether you are looking to gain a competitive edge in your chosen sport, or thinking of stepping into a gym for the first time, the South Moreton Boxing Club will provide the support and expertise to enable you to achieve your goals. We look forward to seeing you down the club!